I will be reviewing this one soon, but in a nutshell, Jason Reynolds is a must-read, no-questions-asked author for me now. One of my new favorites in the Babymouse series. Minimal text paired with Kadir Nelson's always stunning artwork makes this proverbial story of sharing a can't-miss. A lovely book about the power of childhood imagination and how that diminishes as an adult. 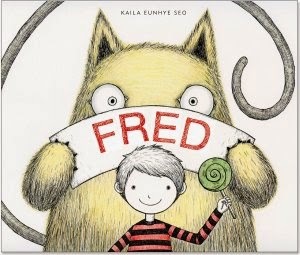 Would be a great book to pair with The Adventures of Beekle. 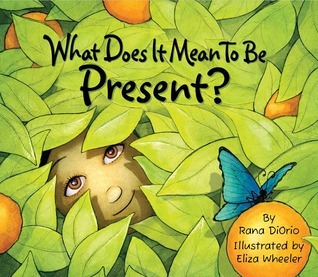 I love the message of mindfulness in this simple little picture book. It's a nice lesson for children and an even nicer reminder for adults. I'm only a few pages in, but wow are these poems stunning. This is one of those books I will read slowly in order to soak in Kay's gorgeous writing. I've heard Bone Gap is good! I've yet to read a Jason Reynolds book. I know I need to fix that! 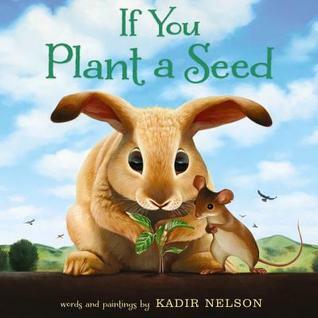 I love Kadir Nelson, so I'll be getting that If You Plant a Seed book! 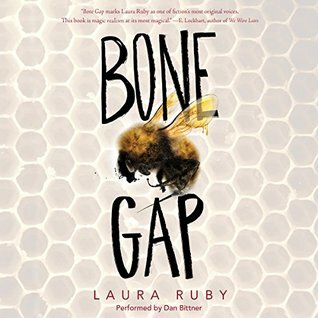 Can't wait to read Bone Gap. Huge buzz around that one! So glad you got a copy of Sarah Kay's poems. 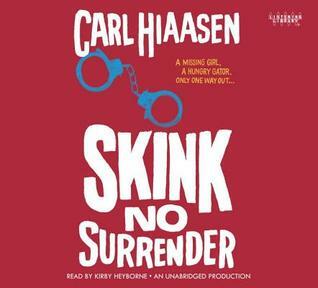 Loved that book! I got mine from the library but think I need to buy a copy. 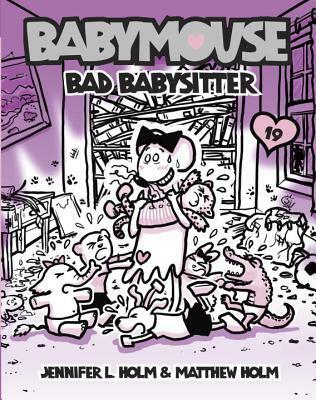 I stopped reading the Babymouse series awhile ago. Not sure which book was the end for me. But I will have to check out Bad Babysitter. And I am right there with you when it comes to Jason Reynolds! Sigh. 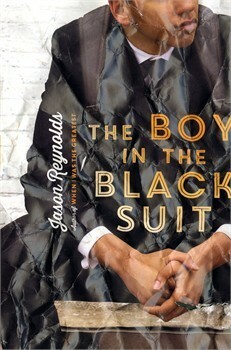 The Boy in the Black Suit looks interesting, but also depressing. I put a hold on a digital copy. I'm not sure if I can pick up Bone Gap, though. Oh, another person reading Bone Gap! I am really anxious to get my hands on a copy of this one. 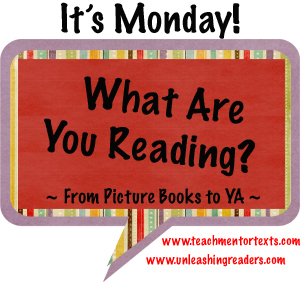 Some really interesting titles - I am especially intrigued by the mindfulness book, thanks! I love, love, love Sarah Kay. I got to see her right after No Matter the Wreckage came out and loved seeing her perform the poems. Her poetry touches my soul. It will be interesting to read your comments on Skink. I enjoyed it, but there were parts of it that didn't ring true for me. I read Bone Gap with my eyes. It is just stunning. Jason Reynolds is a special author. I've only read one, but I know I need to read everything by him. Fred looks great! I love Beekle and anything that promotes imagination. Fred sounds good. Library doesn't have it yet, I'll have to keep checking back. I haven't read Jason Reynolds yet, but I did recently buy When I Was the Greatest. I'm thinking I'll get to it this summer. Add me to the Jason Reynolds fan club. Loved both of his novels that I have read. My husband gave me a copy of No Matter the Wreckage for my birthday. We had to literally hunt for a copy down here in Singapore - right after I watched Phil Kaye and Sarah Kay perform live at the Singapore American School - and I was just riveted. 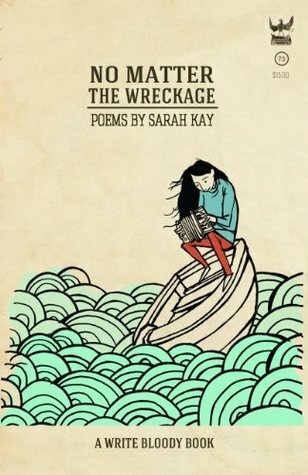 Love this collection, particularly Sarah's poems about her brother.